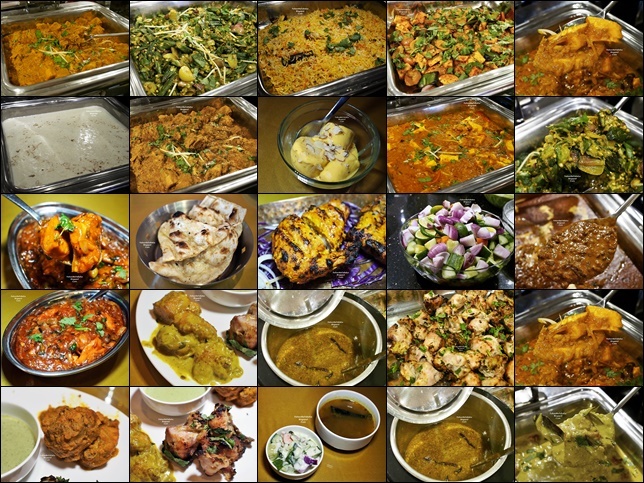 "Probably The Most Affordable Indian Buffet In Town"
Are you looking for a great Indian restaurant in Kuala Lumpur? 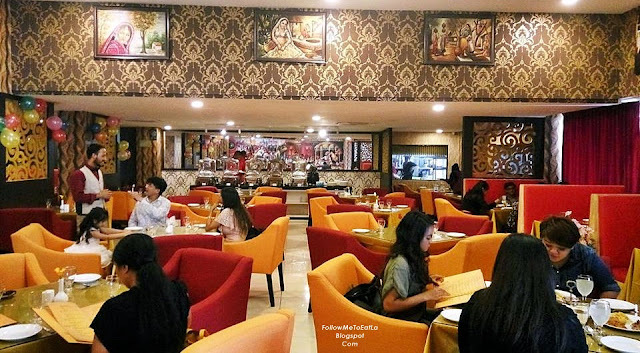 I chanced upon ROYAL DARBAR, a newly opened Indian Fine Dining & Banquet Restaurant at Jalan Tuanku Abdul Rahman when the foodie in me saw the attractive banner of LUNCH BUFFET Opening Promotion for RM 24.99++ only! Royal Darbar which was opened in Sept 2018 is fast gaining popularity among diners and drawing in the crowds, thanks to its reasonably-priced fare. Positioning themselves as an authentic Indian Fine Dining restaurant, the menu in Royal Darbar is made up of a wide array of elaborate Pakistani, Punjabi and South Indian dishes from all across India. To the uninitiated, the word 'Darbar', a Persian term from the Mughal Era of India, refers to the place from where Maharajas and Maharanis ruled the people of their land. Indian royalty has their official meeting held in courts of justice, made public announcements, and offered common feasts and celebrations from their Darbar. The family-style restaurant makes quite a first impression, enveloping diners with a grand setting recapturing the regal aura of Darbar at the Royal Palace. Adding to the grand imperial court feel is the wall, which features an impressive and beautiful classic mural of the Maharaja addressing his subjects. Stepping into this grand fine dining restaurant, you'll be met with tasteful rich red, gold and orange furnishings in a spacious dining area. Feast your eyes on the classic fine paintings of beautiful Indian women adorning the walls, paired with dazzling chandelier. 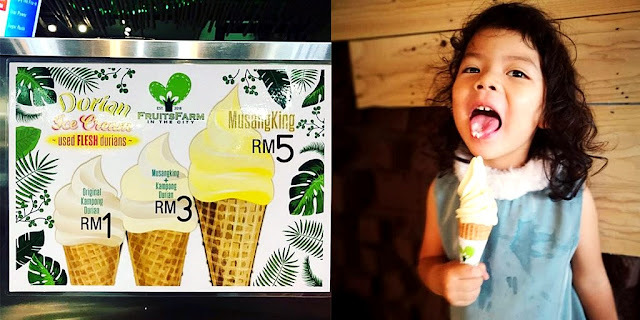 Since it was our first time here and with the amazing value-for-money Lunch Buffet opening promotion with a price of RM 35 slash to RM 24.99++, it didn't take long for us to decide on what to eat that day. So what about the buffet? The piquant flavours of famed Indian spices are brought to life at Royal Darbar with cooks from India. 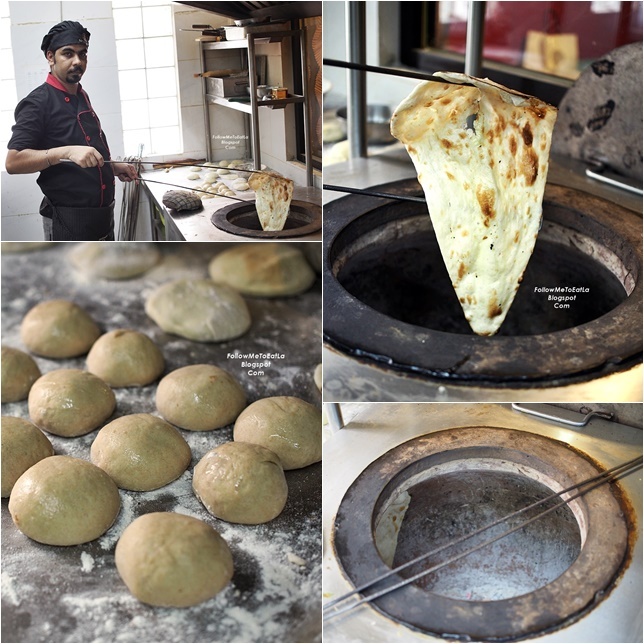 We treat ourselves to a sumptuous buffet lunch spread of nine dishes with free flow of lime juice and Buttered Roti. The buffet spread feature a variety from Southern and Northern India with some unique Kerala dishes, introducing cuisine from the different part of India and showcase their distinctive dishes. Specially available on that Sunday, some of the flavourful Indian fares are Chicken dishes of Malai Tikka, Chicken Rara and also Fish Molee. Rare Video Of Wok-On-Fire Indian Chef! Lucky us as we were given a sneak peek in the kitchen to watch their Indian chef whipping up one of the vegetarian dishes - Bhindi Masala which was cooked in less than 2 minutes! It was a spectacular live demonstration of the 'Wok-On-Fire' by the chef to achieve the amazing taste or flavour of real 'Wok Hei' dish just like the Chinese chefs. Wearing happy smiles after wiping the buffet lunch spread clean, we relished the mouth-watering Chicken Tandoori - one of my favourite dishes to try in any Indian restaurant. 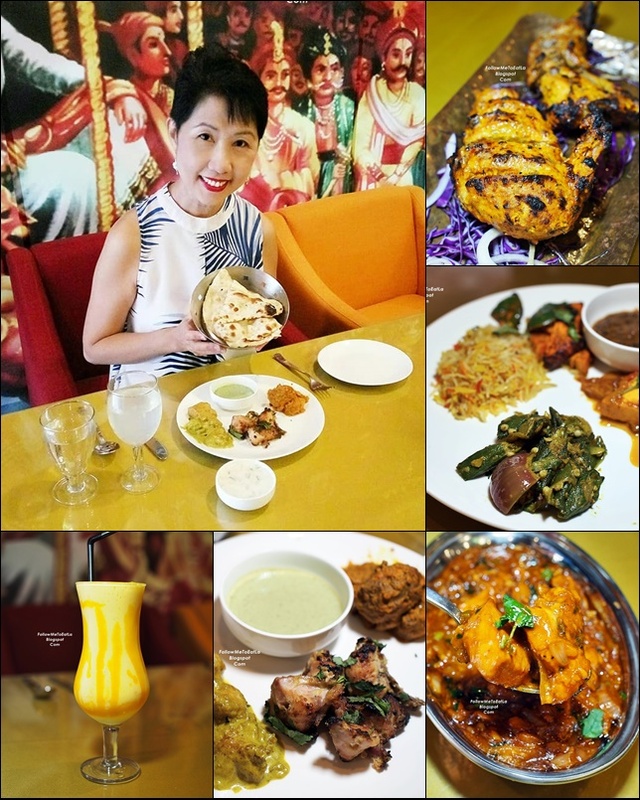 Highly recommended to order from the a la carte menu, the Chicken Tandoori is the star of this show, stealing the spotlight with well-marinated, juicy and tender chicken with a lovely char on the skin. Well executed and I will definitely come back for more on my next visit! My hubby, being a fan of Chicken Varuval, spotted this dish on the menu and ordered it. This lip-smacking chicken dish is a famous cuisine in Tamil Nadu, originates from the region of Chettinad. This version is different from the Spicy Dry-Fried Chicken Varuval, so don't be mistaken with this gravy dish. Indian food tends to taste even better when the assorted curries or gravies are mopped up with rotis or rice, and Chicken Varuval has a lot to offer in that department. The flavoursome gravy pairs up perfectly with naans, parathas or rice. Finally, wash down all the delicious food with a glass of Mango Lassi, a must-have special Indian drink - a popular yogurt drink flavoured with mango. First time trying Jal Jeera, a refreshing drink and is a popular summer Indian beverage, made from a concoction of lemonade, jaljira (Cumin seeds) powder which is excellent as an appetizer to startle the taste buds. A trip to an Indian restaurant is incomplete without desserts and our choice of Mango Kulfi helped seal in the sweet memories and is the perfect ending to a perfect meal in Royal Darbar. I was searching the Internet and found your awesome blog. The post is very informative. It is a pleasure reading it.